Buses operate for the benefit of the students at Howell’s Co-Ed College and Howell’s School, Llandaff. 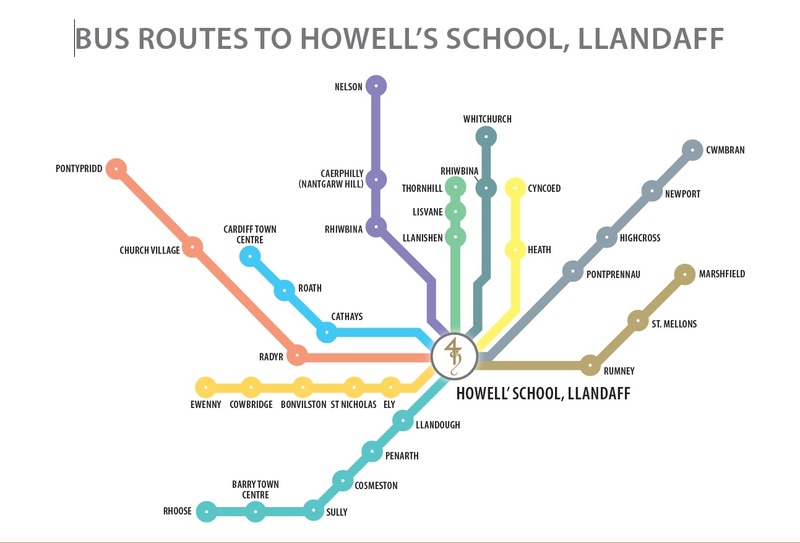 The buses transport around 180 students to and from Howell’s from within Cardiff and the surrounding areas, including Newport, Caerphilly, Cowbridge and Penarth. For more information about the bus services, please email our bus coordinator, Chrissie Hall-Davis on: Chrissie.Hall-Davis@how.gdst.net.